My first trip down the Rogue River was in 1997, the year before I became professional river guide. 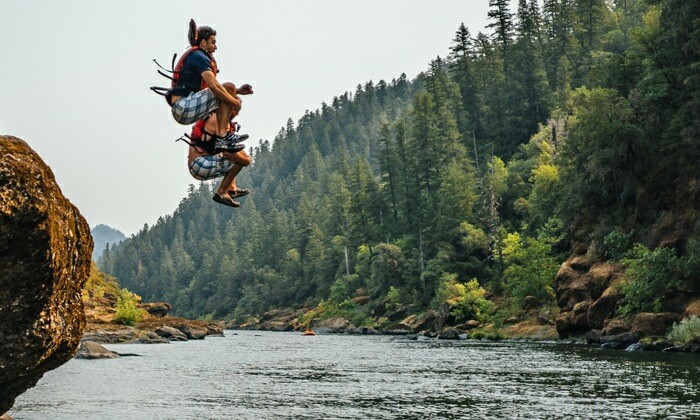 After a three-day trip down the Lower Klamath, four of us decided to make our way up to the famous Rogue River. We left the take-out for the Klamath, stopped in Ashland for dinner and a play at the Oregon Shakespeare Festival, before setting up camp near the town of Galice. The next morning we obtained our rafting permit at the Rand Ranger Station, and before long we began our trip down the “wild” section of the Rogue at the Grave Creek Bridge. Immediately, we were impressed by Rainey Falls. This beautiful 10-foot drop ends in a big hydraulic that could easily flip a raft. We were pretty confident — probably too confident — rafters back then but still decided to take the Class III route around the falls commonly known as the Fish Ladder. My most vivid memories were from rafting through the vertically walled Mule Creek Canyon and its famous Coffee Pot Rapid. On the way, we saw a multitude of creatures: bears, deer, blue herons, eagles and osprey. 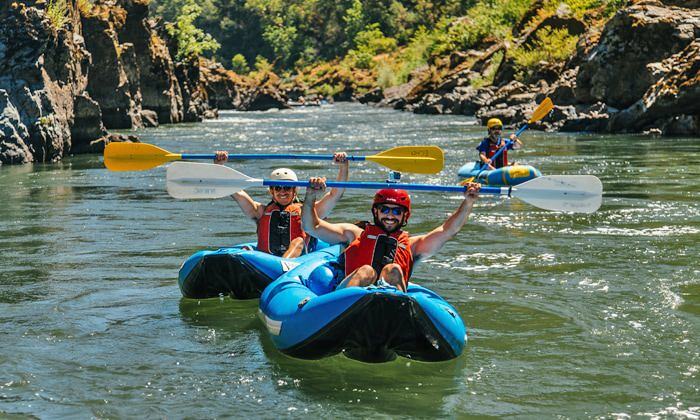 (It’s easy to see why 84 miles of the Rogue River is designated National Wild and Scenic.) Before Mule Creek, the river was calm at points and we had time to joke around. But in this canyon, each moment was packed with excitement; somehow we adventured our way up the waterfalls at Stair Creek. Every night we made camp near the banks of the river. We skipped rocks and played cards. We slept below the stars and contemplated life. Our time on the river was carefree, and we all felt lucky to spend time in such a remarkable place. That first trip had a huge impact on the four of us — we all became rafting guides on the Rogue River. Two of us went on to become outfitters together and owners of Northwest Rafting Company. 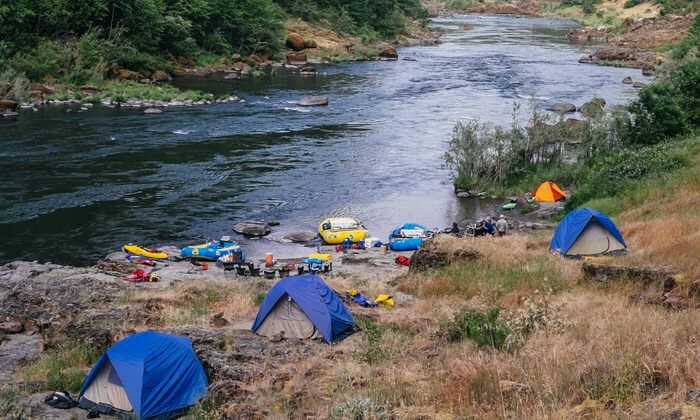 The following summer I guided rivers around the American West, including two more trips down the Rogue River. I remember both of these trips vividly: one was in May and the other an idyllic August trip. Both were ridiculously fun and special in their own way. As my guiding career grew, I continued to make at least one pilgrimage to the Rogue River each season. Sometimes I would go back for private trips and other times to work as a guide. Soon the lines became blurred between the two. There’s nothing like your first trip down this river. I’m proud to share the experience with newcomers every day and give them their first tastes of the incredible Rogue River.